Discover automation options for all of your internal blinds and curtains, either battery or mains powered. Motorised blinds and curtains offer comfort and convenience at the push of a button. 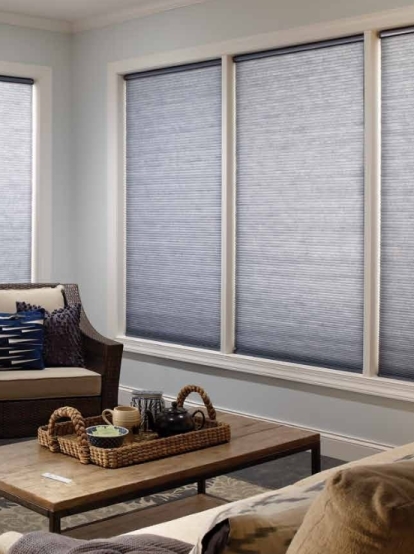 The motors used in our blinds and curtain products are both discrete and quiet, and come with a full warranty for your complete peace of mind. Why not integrate your motorised blinds or curtains in with your lighting control system, so that blinds open or close automatically, or at the touch of a button with your prefered lighting scene. We can even schedule your blinds to open and close when you are not at home to give the impression of occupancy when you are not there!